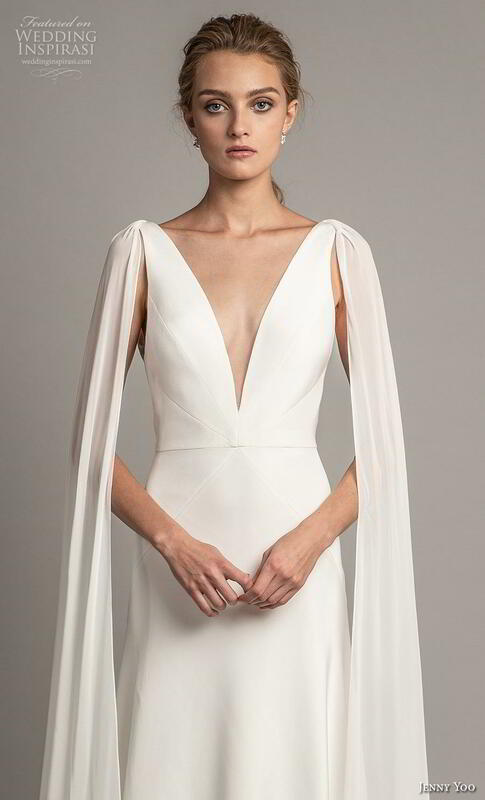 Romance, effortless elegance and refined glamour permeate Jenny Yoo’s Spring 2019 bridal collection. 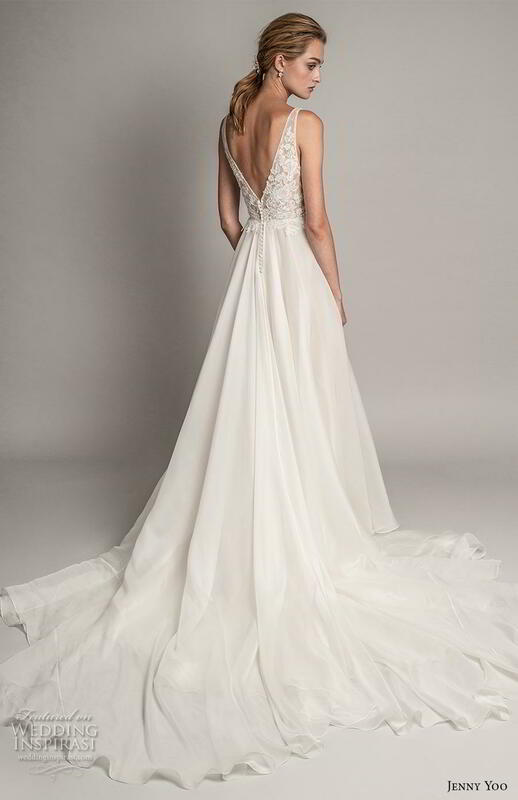 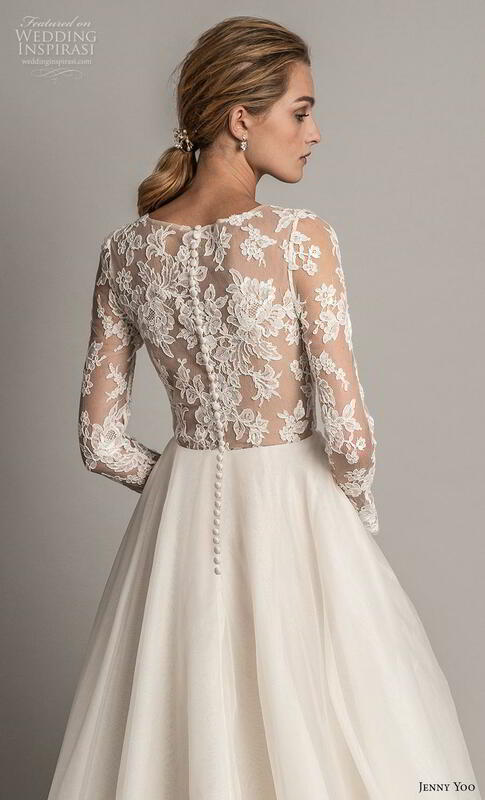 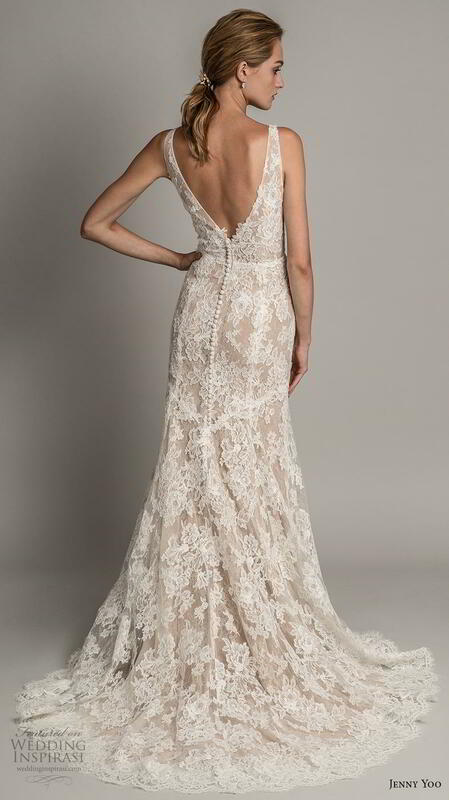 The sophisticated gowns feature clean, modern silhouettes designed using luxe, European fabrics and a one of a kind French lace, with sweeping trains, low V-backs and feminine draping adding an unexpected eye catching highlight at the back. 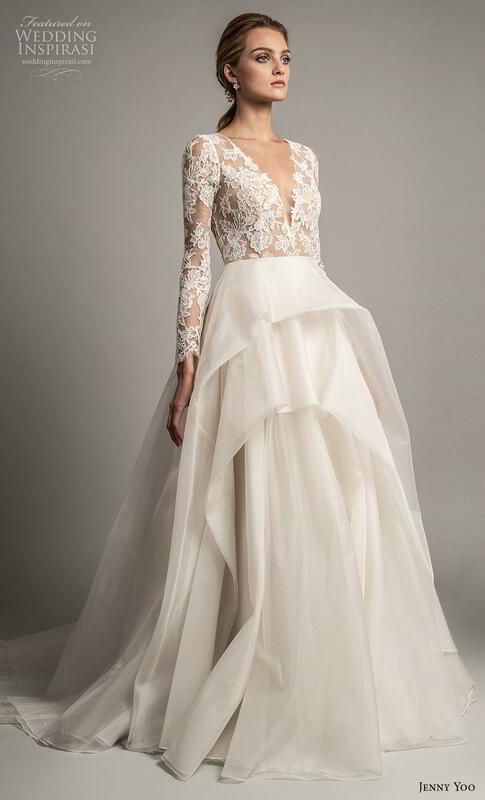 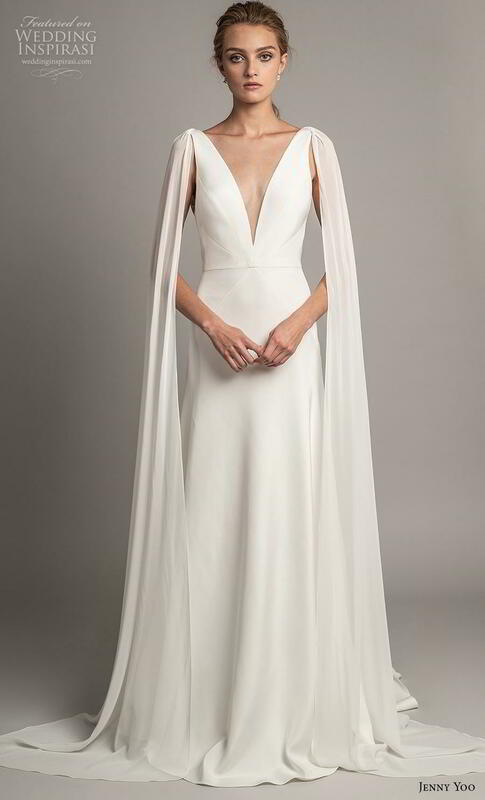 “Creating subtle glamour, Jenny conceptualizes airy combinations of shapely silks, chiffons, and lofty organza that exhibit a suite of polished bridal gowns, both understated and breathtaking. 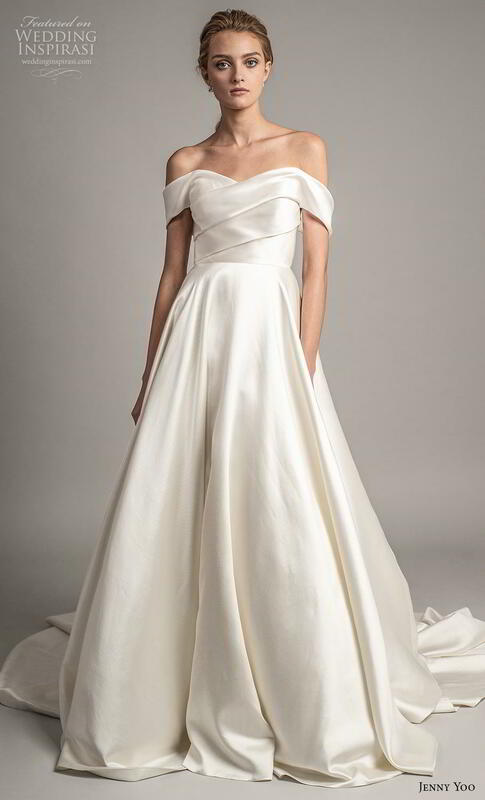 Designing with today’s bride in mind, Jenny Yoo has teamed up with the ultra-stylish Lovely Bride, to develop an exclusive capsule collection boasting a statement draped back and ethereal ball gowns. 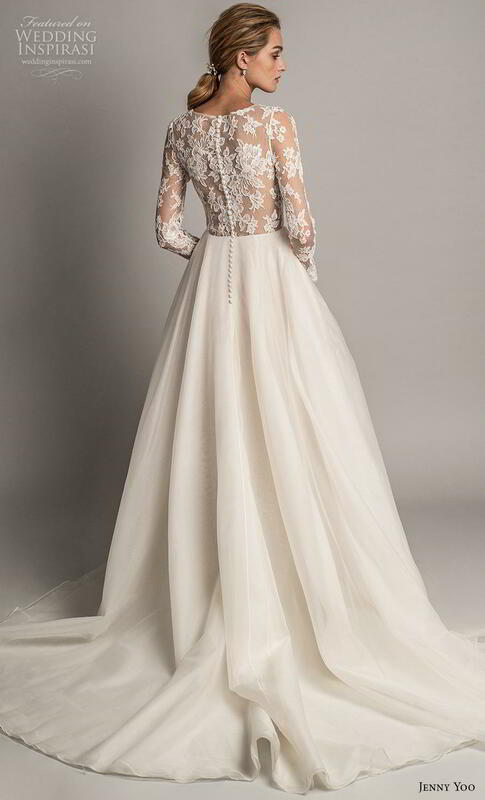 For details, visit Jenny Yoo.